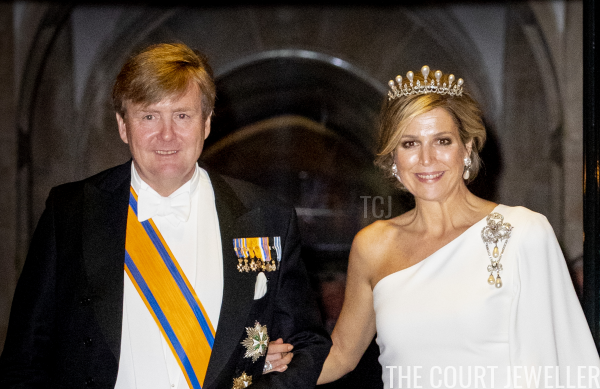 The Dutch royals dug into the family vaults on Tuesday evening to provide us with some seriously glittering moments at the annual diplomatic gala in Amsterdam. Here's a look at the tiaras and jewels on display! 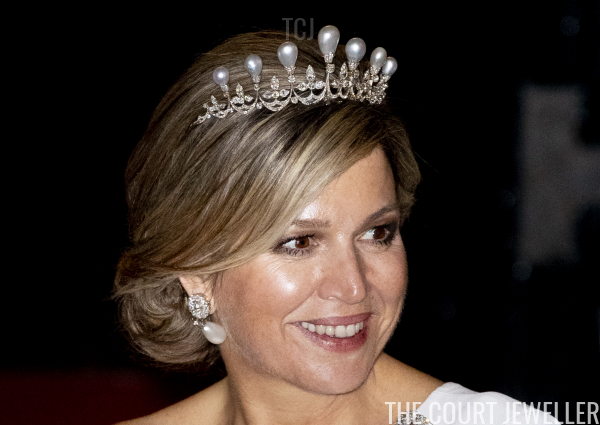 Queen Maxima accessorized her sleek, Grecian white gown with diamonds and pearls. 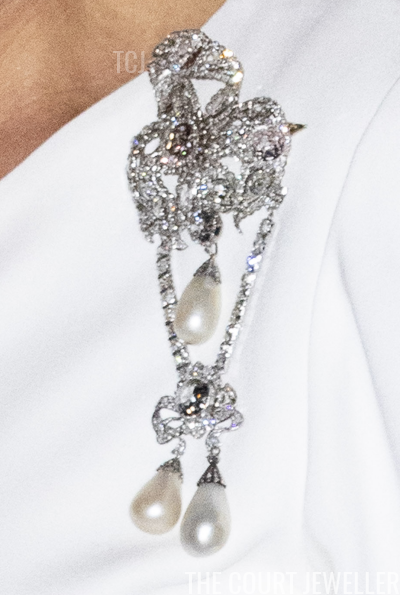 She also wore a diamond bracelet and a diamond and pearl ring, but the showstopper of her ensemble was undoubtedly this magnificent diamond and pearl brooch. Really, it's probably more correct to call this a devant de corsage. The piece, which includes five rare pink diamonds, was made during the first decades of the nineteenth century. It was inherited by Queen Sophie of the Netherlands from her mother, Grand Duchess Catherine Pavlovna of Russia. 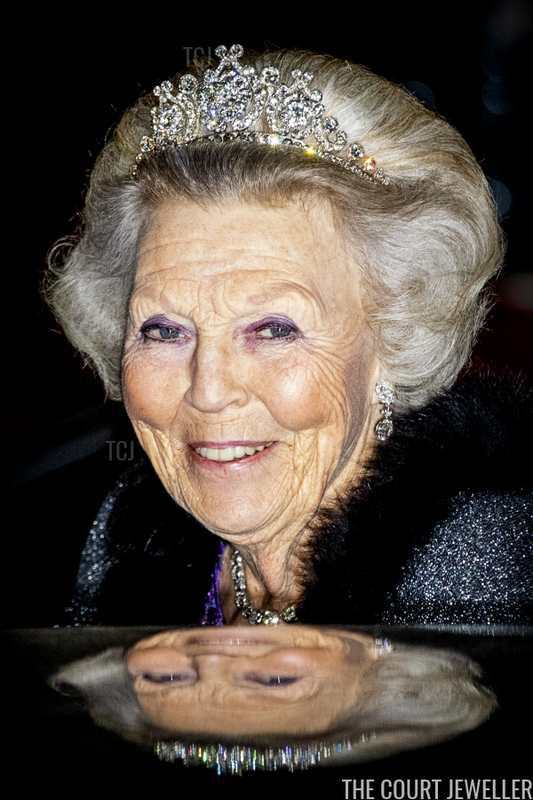 The pairing with the pearl tiara is an especially appropriate one, as many believe the tiara may have been constructed using remnants from a diadem that belonged to Grand Duchess Anna Pavlovna, who was both Catherine's sister and the wife of King Willem II of the Netherlands. 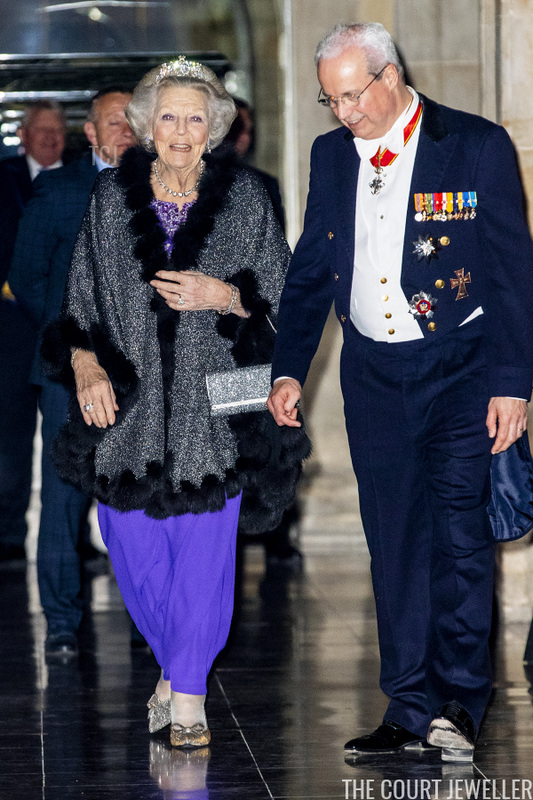 Princess Beatrix of the Netherlands also attended the diplomatic gala, wearing royal purple with plenty of diamond accessories (and sparkly shoes!). 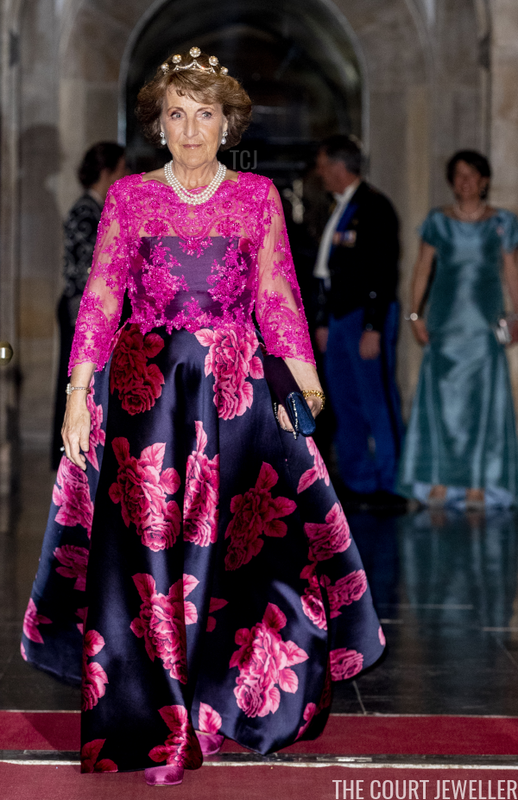 Her sister, Princess Margriet of the Netherlands, also chose favorite jewels for the gala, pairing them with a bright floral gown. She wore the Pearl Button Tiara for the occasion, the same sparkler that she wore on her wedding day in 1967. (More on the tiara here!) 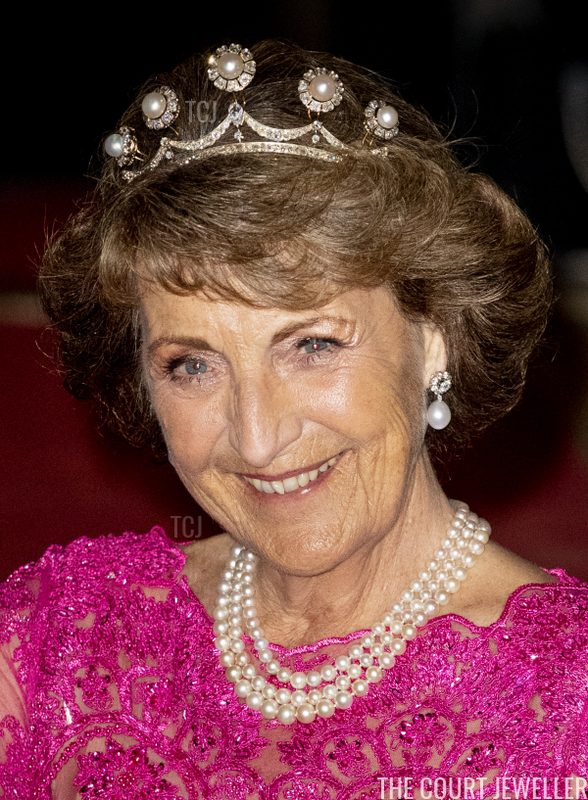 She paired the tiara with a gorgeous three-stranded pearl necklace, as well as diamond and pearl drop earrings. And the jewelry didn't stop there: Margriet also wore a bracelet studded with diamonds and pearls, as well as a diamond and pearl ring.